Poetry. The word either makes a mother swoon with joy or strikes fear in the depths of her soul, the latter of the two being the most prevalent it seems. I have a feeling it has a lot to do with her own experience as a student. Somehow as we get older, the delightful poetry of childhood transforms into an academic exercise, and we lose the wonder of it. Many of us had very little experience with poetry beyond childhood rhymes, so when we reached high school—where we were told to dissect and analyze the deeper poems anthologies are made of—we were intimidated to the point we just wanted to give up. And so when faced with sharing that experience with our children, we shudder. But it can be different for your children. You can create an atmosphere that fosters a love and appreciation for poetry from a young age. A love and appreciation that grows with your children. And maybe for you as well. It is as simple as having a little tea party. We absolutely loved Brave Writer, and used it from elementary through high school. 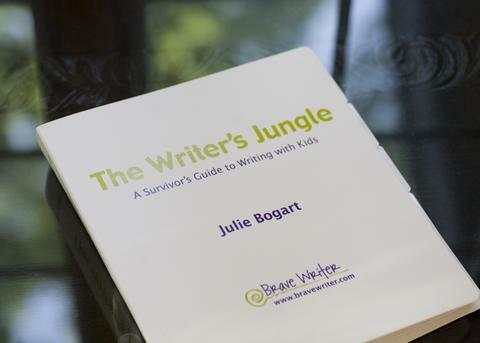 Not only did The Writer’s Jungle teach me how to teach my kids to write, it also kindled a love of writing in me, too. Brave Writer is more than a writing curriculum. It is a way of teaching writing, a philosophy, that encourages creating a language rich environment in your home. Julie Bogart calls this the Brave Writer Lifestyle, and Poetry Teatime is a part of it. The good news: it is both enjoyable and easy. You don’t have to be an expert in poetry or have any special poetry guides to tell you how to analyze poetry. You don’t even have to study the poems at all. While enjoying tea and a snack, have each of your children choose a poem to read to everyone else. If you have a child who isn’t reading yet, let them pick one for you to read. Yes, it is that easy. If you’ve never done Poetry Teatime, I highly recommend watching Julie Bogart’s quick video describing it. We usually kept poetry teatime simple. Often I served store bought cookies, peppermint tea for my oldest son, and hot chocolate for my youngest. But every once in a while, I tried to make it a bit more special. And the memories were definitely worth it! So for the next 5 days, I’ll be posting some Poetry Teatime inspiration. Our Very Silly Poetry Teatime wasn’t difficult to put together, and it didn’t take a lot of time. But they still remember it. Rice crispy treats colored with food dye. Any hot or iced tea of course, but consider letting your kids pick out a flavor they have never tried before. Colored milk. Time to get out the food coloring (or chocolate sauce. Brown is a color too 😉). Homemade Cream Sodas. Are cream sodas silly? Maybe not, but the fizz does tickle your nose a bit. And note: Anything from the Pioneer Woman is worth the extra effort. Yum! Dress up in silly clothes. It could be as simple as wearing silly socks, or your kids can go all out. Let them get creative and have fun! Make a silly centerpiece. Perhaps a bouquet of pipe cleaner flowers or a LEGO creation. Color outside the box. Print out some coloring sheets, but encourage your kids to pick unusual colors. 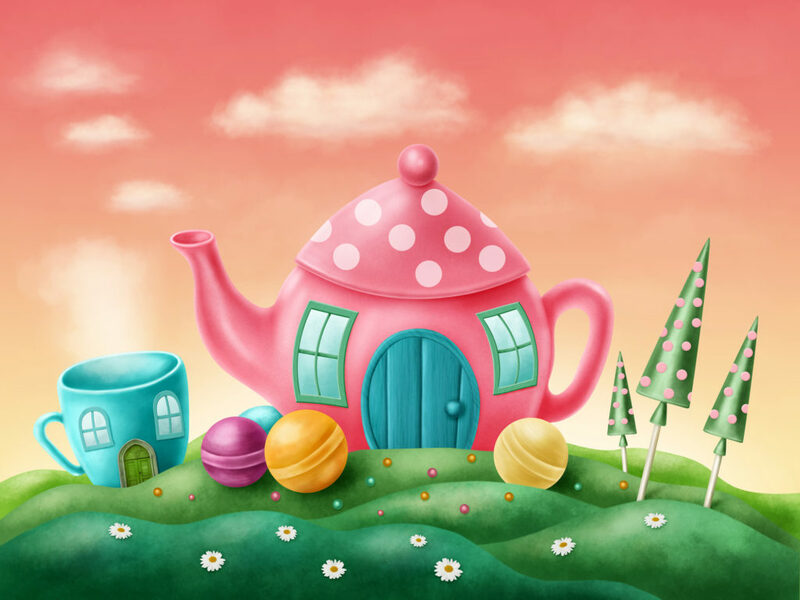 An orange sky, a green ocean, a polka dotted house are all perfect for a silly teatime activity. Have them write their own silly poems. Or write one together. You start with a funny line and let each person add their own. Invite friends and make it a little poetry party. Set out a picnic blanket in the living room like we did, have your guests bring their favorite poems to recite, and be silly together. By far our favorite two authors for this theme are Shel Silverstein and Jack Prelutsky. These poems are how I introduced my two sons to Poetry Teatime, and they always asked for more. 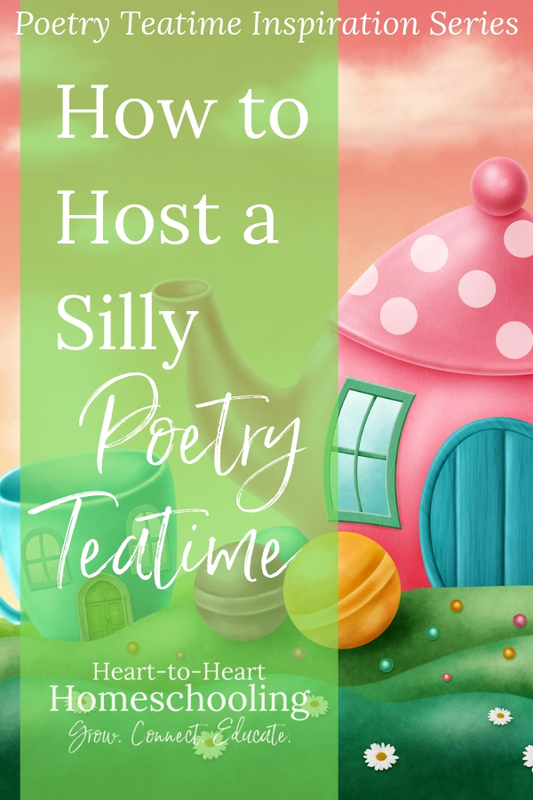 Remember, these are simply ideas for putting together your own Very Silly Poetry Teatime. Do as little or as much as you want, and know that it doesn’t take a lot to make it special. Love this post, but such a shame the links for days 2-5 don’t open on an iPhone, would have loved to have read those too. Thanks so much Emilie! Today is the first day of the series, so link two will work tomorrow, three on Wednesday, etc. How fun! My daughter and I love tea parties, and a silly one is something we’ve never done. Maybe we’ll have to try it. We’ve attended a poetry tea party and loved it!